An expert in materials science and engineering with special expertise in plasma assisted chemical vapor deposition (PECVD) of materials. He has applied his skills to investigate the deposition of diamond-like carbon (DLC) as a protective coating for magnetic recording media and developed applications of DLC for thin films disks and heads. Starting in 1996 his research targeted interconnect dielectrics for VLSI chips and is the primary inventor of the low-k and ultralow-k SiCOH and porous pSiCOH insulators that replaced the silicon dioxide as interconnect dielectrics for improved chip performance. Under his leadership and due to his expertise, the materials developed in research have been further improved to manufacturable quality and have been implemented in IBM's microprocessors at the 90 nm technology node and beyond. Since 2007 he has expanded his activities into the development of wafer-scale epitaxial graphene, a material with strong potentials for future nanoelectronics technology. He has authored or co-authored more than 310 scientific and technical papers and several book chapters; the latest of which are: “Effect of SiC wafer miscut angle on the morphology and Hall mobility of epitaxially grown graphene”, with C. Dimitrakopoulos, T.J. McArdle, Z. Liu, R. Wisnieff, and D.A. Antoniadis, Applied Physics Letters 98(22), 222105--222105, AIP, 2011; “Multi-Layer Epitaxial Graphene Formed from Poly-Crystalline Silicon Carbide Grown on C-Plane Sapphire”, with T. McArdle, J. Chu, Y. Zhu, Z. Liu, M. Krishnan, C. Breslin, C. Dimitrakopoulos, R. Wisnieff, Bulletin of the American Physical Society, 56 (2), APS March Meeting, 2011; and “Wafer-scale graphene integrated circuit”, with Yu-Ming Lin, Alberto Valdes-Garcia, Shu-Jen Han, Damon B Farmer, Inanc Meric, Yanning Sun, Yanqing Wu, Christos Dimitrakopoulos, and Phaedon Avouris, Science 332(6035), 1294--1297, American Association for the Advancement of Science, 2011. He has also published the book "Cold Plasma in Materials Fabrication: From Fundamentals to Applications" and co-edited 3 books. He is the inventor or co-inventor of 130 US issued patents dating from 1991 to 2012. He has received three Research Outstanding Accomplishment Awards and two IBM Corporate Awards. 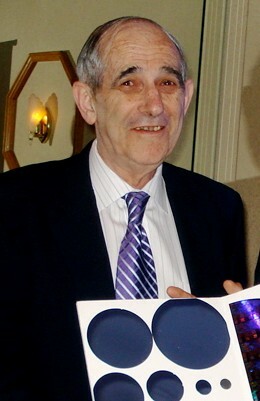 In 2012 he was elected to the National Academy of Engineering. He is an active member of The Materials Research Society, has chaired the MRS Spring 2009 Symposium Materials, Processes and Reliability for Advanced Interconnects and is a co-editor of the proceedings of this symposium.